Are you looking for an easier more intuitive way to access all the great information available in Acumatica? Join us on 5/23 at 2 PM ET to learn how you can use Excel to report in real-time on your Acumatica data, so you can have the best information at your fingertips to make better business decisions, faster. 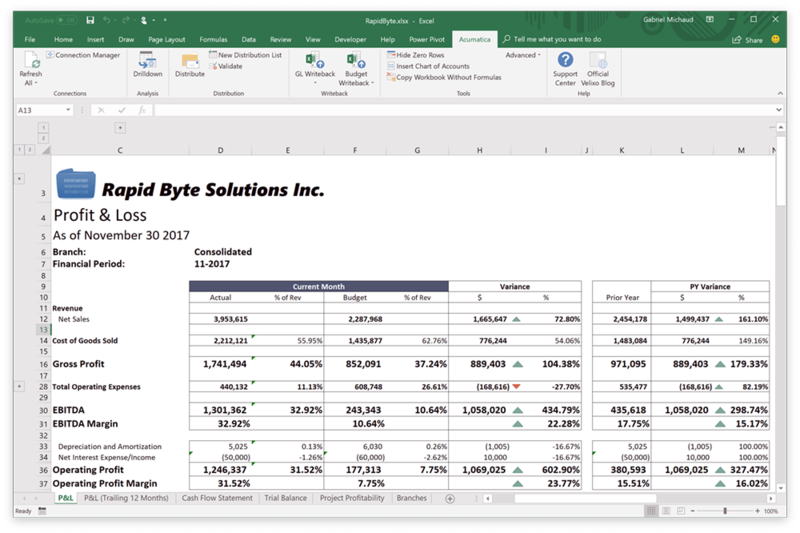 Velixo Reports adds a new toolbar to Excel with more than 45 functions specially designed to work with Acumatica’s General Ledger and Project data for easy reporting in Excel. The solution provides a tight integration and leverages the unique capabilities of your Acumatica cloud ERP with features such as Smart Drilldown, Smart Refresh, consolidations and advanced security (including Acumatica row-level security and restriction groups).